Two evenings of jazz, plus a special open rehearsal and clinic, will take place at Denison University on the first official weekend of spring. All events are free and open to the public. A Spring Jazz Concert, featuring the Denison University Jazz Ensemble, directed by Pete Mills and the DU Jazz Faculty along with guest soloist, trombonist Vaughn Wiester, will take place at 7 p.m. on Saturday, March 23, in Burke Recital Hall (240 West Broadway). An open rehearsal and clinic will take place at 1 p.m. on Saturday, March 23, in the Burke Hall Rehearsal Room (240 West Broadway). The Denison Jazz Combo, directed by Tom Carroll, will present their spring concert at 3 p.m. on Sunday, March 24, in Burke Recital Hall (240 West Broadway). The concert will also feature the Denison Concert Choir, directed by Kevin Wines. Trombonist Vaughn Wiester has taught jazz studies at Capital University and has worked with the Columbus Jazz Orchestra, the Kenley Players, the Cleveland Jazz Orchestra, the Rick Brunetto Big Band and Ernie Krivda’s Fat Tuesday Big Band. His own band, the Famous Jazz Orchestra, has been performing each Monday in Columbus for the past 15 years. The DU Jazz Combo is a small ensemble open to any instrumentalist and vocalist. Traditional jazz will be the focus along with the music of Brazil, funk and contemporary jazz/pop. 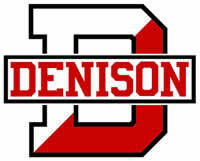 For more information, contact Pam Hughes at 740-587-6220 or visit www.denison.edu.